I am a college student studying electrical engineering and wanted to pick up this new hobby with efoils. I’ve been in the space for a while getting inspiration from pacificmeister, Max maker, virus, and Hiorth. 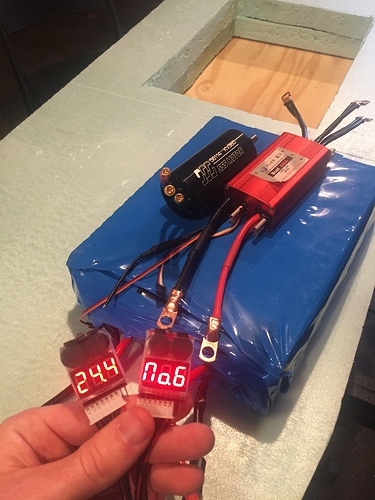 The plan is to use a DIY 12s14p battery, 400A 16s Flier ESC, SSS 56114 360kv motor,DIY board, 3D print foil/mast, and maybe implement arduino for speed control and current/temp monitoring. I will also 3d print the drive unit which I am hoping to go direct drive with 64mm prop. I’m not really looking for specific advice but if you guys see any red flags in my build so far let me know. My concerns right now are the build of the board (I’m not a big mechanical guy). Also the 3d prints due to lack of experience. I have already designed the 4 part mast in tinkercad. (4 parts bc my printer is 225mmx225mmx300) I’ll post that later if anyone is interested. Looking forward to all your opinions.